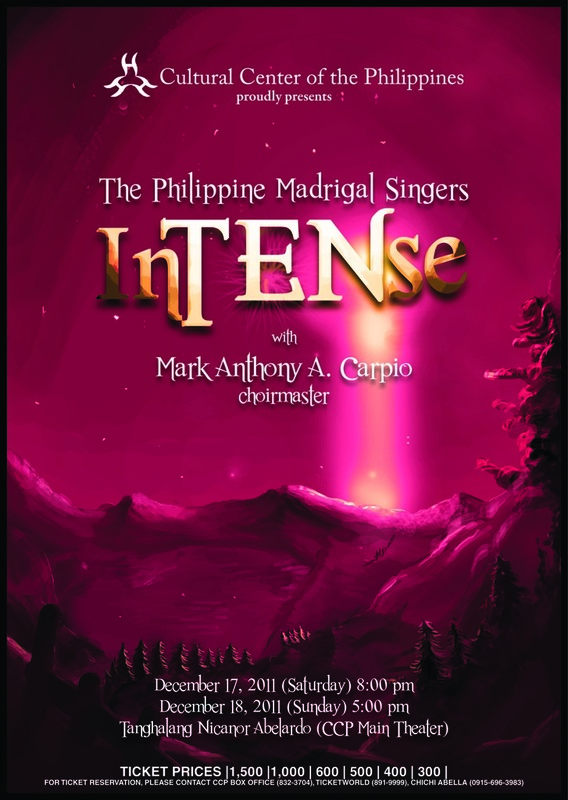 As a thanksgiving to their recent success on international soil this year and Mark Anthony Carpio's 10th year as choirmaster, the Philippine Madrigal Singers presents inTENse at the Tanghalang Nicanor Abelardo of the Cultural Center of the Philippines on December 17, 2011 at 8:00 PM and December 18, 2011 at 5:00 PM. 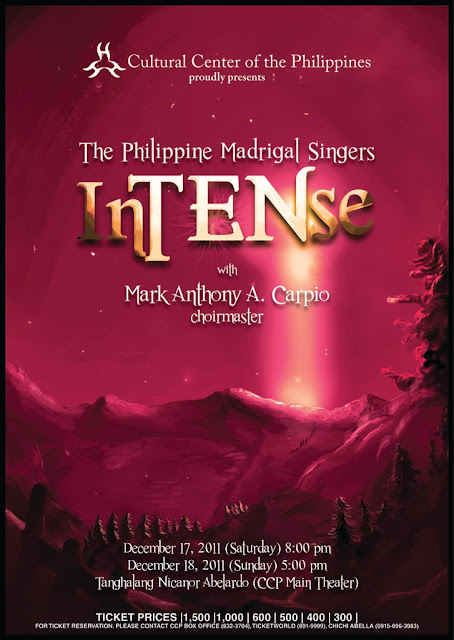 Presented by the Cultural Center of the Philippines, the concert also aims to celebrate the season with renditions of timeless Christmas songs given interesting and unique twists. For tickets, please call CCP Box Office: (632) 832-3704, TicketWorld: (632) 891-9999, or Chichi Abella (+63.915.6963983).